Delikon staff of experienced professionals bring both hands-on experience and a broad spectrum of technical skills needed to design, and manufacture reliable flexible conduit and fittings for signal systems. 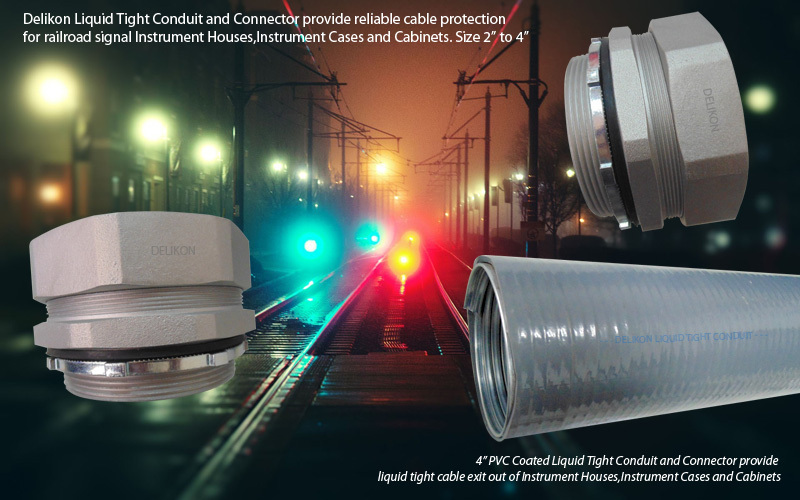 Delikon liquid tight conduit and fittings provide the assurance that safety, longevity, and economy are built into every system. We manufacture flexible conduit and connector for signal equipment cable management that assures safety, reduces maintenance, and provides continuous, long life operation. Delikon works hands on with Railroads and General Contractors, and focus our efforts on providing liquid tight conduit and liquid tight conduit fittings system for railroad signal Instrument Houses,Instrument Cases and Cabinets.